Unfortunately, over licensing has become an issue as it has become a barrier to entering the market and is preventing people from starting businesses. As a result, licensing has become incredibly convoluted and is preventing individuals from being able to engage in trade with consumers. Some of the effects of over licensing are so ridiculous sounding that you would swear they were being made up, but they are 100% true. As was noted by Ben Sasse (R-Nebr. ), you have to obtain four separate licenses in order to be a shoe shiner. 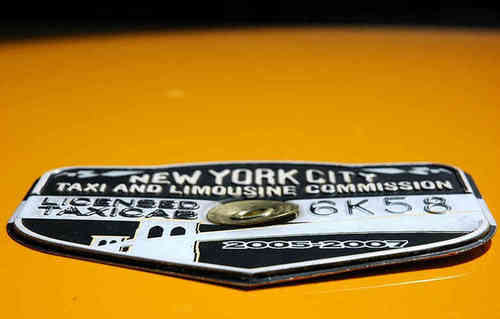 In New York, meanwhile, it can cost $1 million to get a medallion that legally gives you the right to run a taxi service. Suffice it to say, over licensing has become a serious problem. The Brookings Institution did a presentation on licenses and found some very shocking results. Since the 1950s, the percentage of workers with occupational licenses in the overall workforce has increased by over 20%. This is largely due to the increased number of licenses that have been created over the past several decades. So licensing has certainly grown in the past few years. The resulting economic impact of over licensing is quite serious. Professor Morris Kleiner actually argued that licenses are preventing the creation of 2.8 million jobs. This is putting a $203 billion drag on the United States' economy. It also leads to higher government spending. The 2016 budget actually included $15 million given to the Department of Labor to do studies to find where licensing was making it hard for individuals to enter the market. So the big question is: why has licensing become such a barrier to market entry? Unfortunately, the simple reason is that it helps keep competition out of the marketplace. Studies have found that the reduction in competition can keep wages 15% higher for those in a licensed profession. In essence, it creates a monopoly in which prices are artificially raised for the benefit for those in the field. Tragically, this benefits the well-connected at the expense of the consumer and the unemployed. Fortunately, reform does seem to be on the horizon. In response to the incredibly large amount of licensing that has been implemented in the past few years and its economic costs, Sens. Sasse and Mike Lee (R-Utah) teamed up in the 114th Congress to introduce the Alternatives to Licensing that Lower Obstacles to Work (ALLOW) Act. The ALLOW Act “serves as a model for reform in the states by limiting the creation of occupational license requirements in the District only to those circumstances in which it is the least restrictive means of protecting the public health, safety or welfare, and makes it District policy to limit the enforcement of a license requirement only to the sale of those goods and services expressly listed in the statute or regulations defining an occupation’s ‘scope of practice.’” It would essentially limit licensing to only fields where it was absolutely necessary in DC and on military bases. Hopefully, this bill will serve as a format for licensing reform so that barriers to job entry are eliminated.